Some wear on soles, creasing in leather. 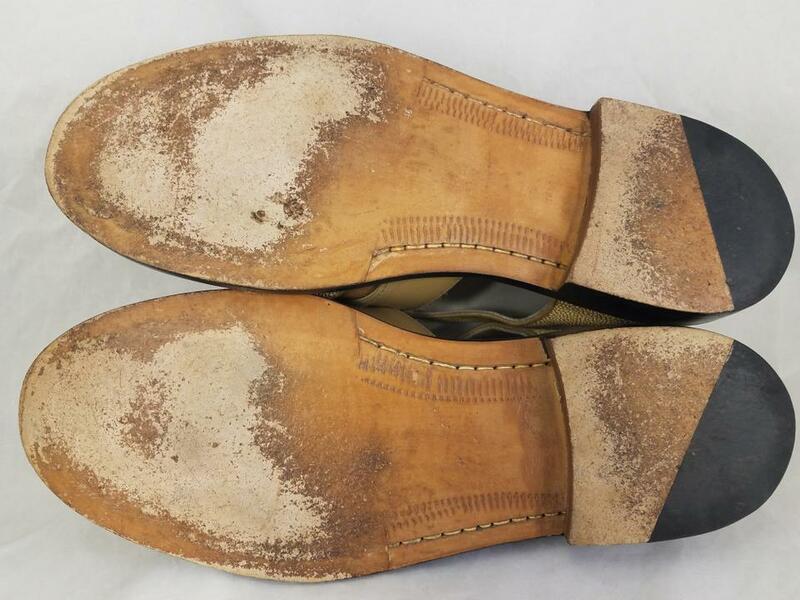 Virtually like new. 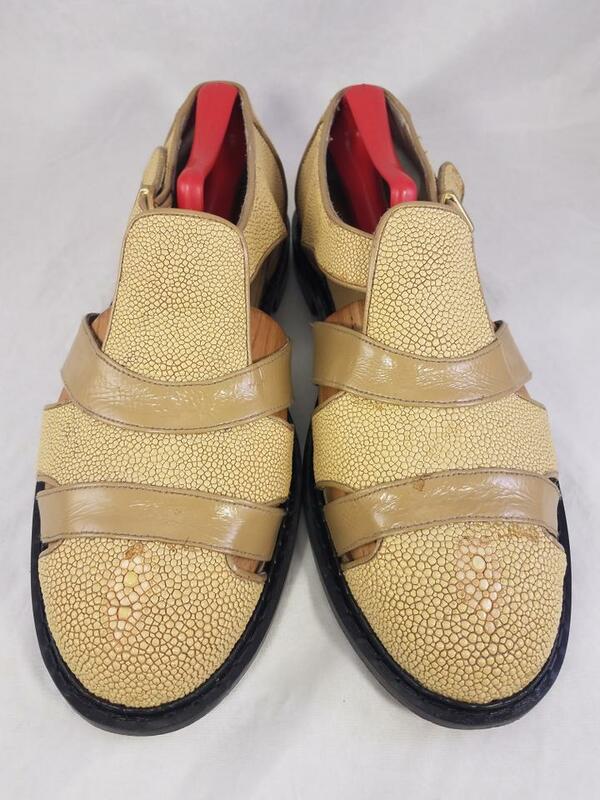 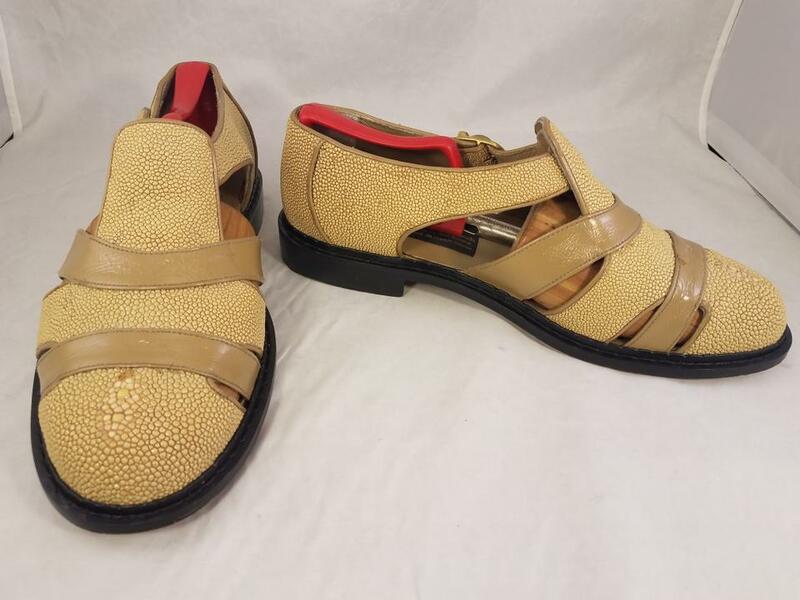 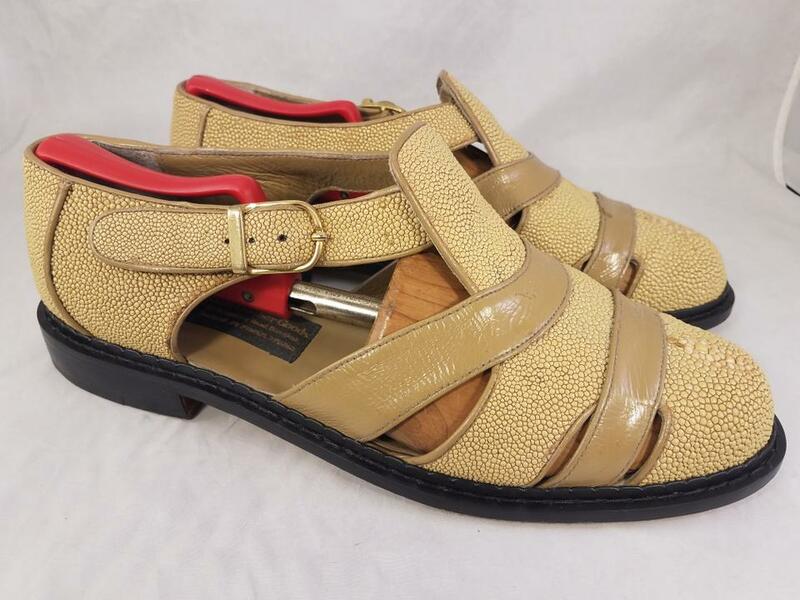 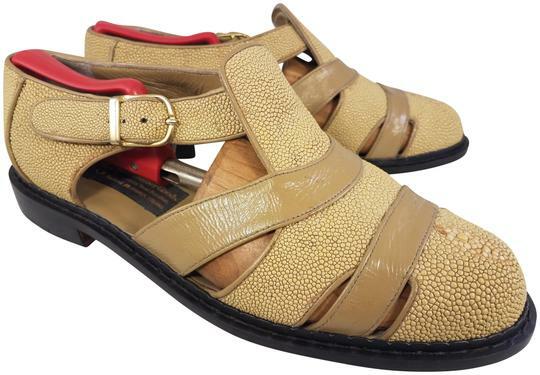 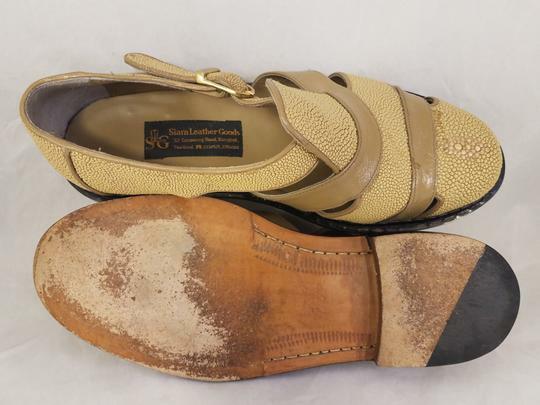 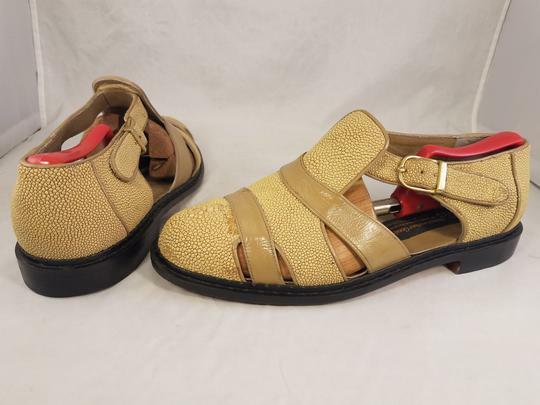 SIZE EUR 46/11.5 SLG SIAM LEATHER GOODS EXOTIC LEATHER FISHERMAN SANDALS BEIGE. 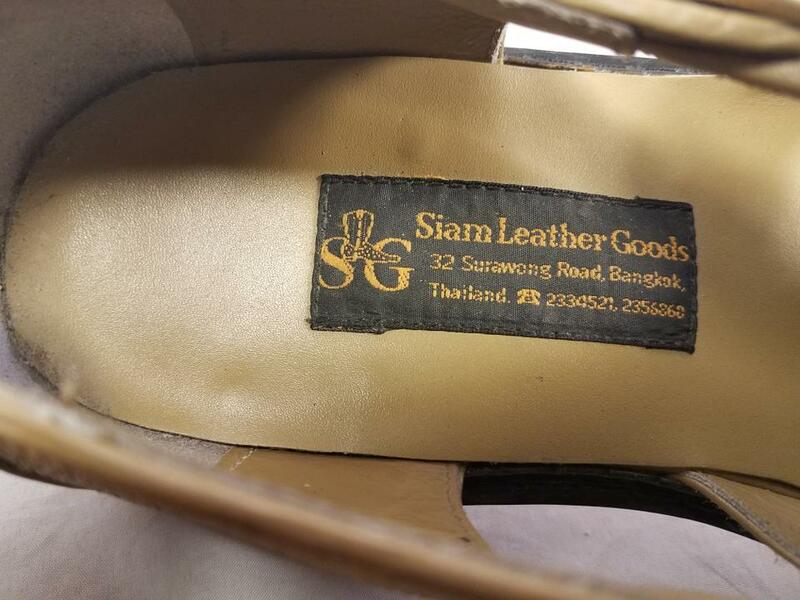 NO SIZE MARKED SO PLEASE COMPARE THE NUMBERS BELOW WITH YOURS. 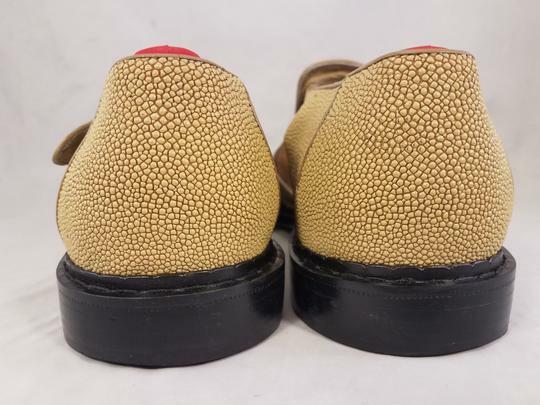 *Upper leather and outsole is leather too.